We provide the full spectrum of air conditioning service for some of the largest commercial clients in the area. With over 19 years industry experience we offer a reliable on-time service, everytime! We're proud of our great local reputation as a reliable and professional refrigeration and air conditioning expert. ExclusiveAir providesWe provide a wide range of air conditioning solutions for domestic customers. For all your commercial heating and cooling requirements, all year round, trouble free. We supply and install a wide range of refrigeration solutions from all the leading brands. 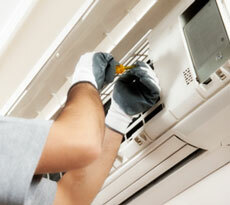 We provide Maintenance and repair services on all makes and models of air conditioners. One of the leading split-system air conditioning and refrigeration specialists in the Hunter Valley Region. 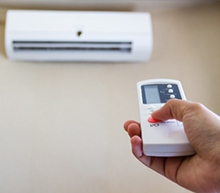 Exclusive Air Conditioning specialises in quality installation, maintenance and repair of air conditioning and refrigeration for both commercial and domestic clients. We're proud of the products we sell and our reliable service that's on time, every time! Quality Workmanshop with over 19 years industry experience. Reliable service - we understand that time is money. Great local reputation with some of the area's largest clients. Full spectrum of air conditioning services for both domestic & commercial customers in Newcastle. Whether it's your home or your business, we're equipped to handle the situation and provide the best cooling (or heating) that your situation needs. From data centres and retail businesss to high rise buildings and coolrooms, we've got the experience to tackle any problem. Exclusive Air are the right choice for all your air conditioning and refrigeration needs. Exclusive Air is well equipped to handle all of your heating and cooling requirements, for both your home and your business, no matter how big or small the project. We have years of experience ranging from the installation and maintenance of small residential split-system air conditioners, heating and cooling for data centres, retail businesses, high rise buildings and coolrooms. 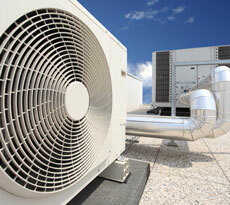 Exclusive Air are the right choice for all your air conditioning and refrigeration needs.